To be eligible for admission to Southeast Missouri State University's graduate business program, students must have an undergraduate degree in business from an accredited college or university. Students who do not have an undergraduate degree in business must take a series of prerequisite coursework before they can begin the MBA. Successful applica...To be eligible for admission to Southeast Missouri State University's graduate business program, students must have an undergraduate degree in business from an accredited college or university. Students who do not have an undergraduate degree in business must take a series of prerequisite coursework before they can begin the MBA. Successful applicants will generally have a minimum GMAT score of over 400 and a minimum GPA in foundational (prerequisite) coursework of a C or better. To be considered for a graduate assistantship position, applicants must have a minimum undergraduate grade point average of 2.7. As a graduate student enrolled in the MBA program, SEMO students may take advantage of the various services offered through the university’s Career Services office. Career Services offers free career advising, salary projections, resume and cover letter revisions, career testing, and interview preparation by appointment. The Career Services office also organizes both job fairs and campus recruiting programs, free of charge. For a fee, students may also access a list of current job opening listings in the region. Because their efforts serve the entire school community, MBA candidates feel, “The Career Center could be greatly improved in order to better serve graduate students.” While Career Service does not work exclusively with graduate business students, students say “The MBA office does a great job of making MBA students aware of job opportunities that come to its attention.” In fact, many students say, “The school puts a great deal of effort [into helping] students get jobs after graduation and organizes various networking events throughout the semester.” Students enrolled in the program full-time can also lay the foun¬dation for their career through for-credit internships. The University has a Minority Student Programs Department. Tutoring offered in person to those taking many of the prerequisite courses for admissions into the MBA program. International exchange program in various counrties in Western Europe and South America. 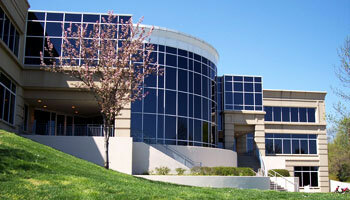 Want more info about Southeast Missouri State University Harrison College of Business Part Time MBA? Get free advice from education experts and Noodle community members.